Imagine you are surrounded by towering trees as you listen to a babbling brook in the distance. You breathe in the fresh air and look up at the dense canopy overhead. The Hocking Hills State Park is calm and peaceful, and you are automatically refreshed as soon as you step foot inside. During your stay at the Inn & Spa at Cedar Falls, you’ll have easy access to explore this incredible area for yourself. Make sure you get our Hocking Hills State Park Guide for everything you need to know about visiting, including trail maps! As one of the most popular parks in Ohio, the Hocking Hills State Park is a must-visit during your stay at the Inn & Spa at Cedar Falls. There are countless outdoor activities to enjoy inside no matter the season. Miles of hiking trails bring you to attractions like caves, waterfalls, natural rock bridges, lakes, and more. Plus, its 2,356 acres give you more than enough space to come back and explore day after day. Whether you are coming with your sweetheart, family, or friends, there is something for everyone in this park. Where Is the Hocking Hills State Park? The Hocking Hills State Park is just moments away from the Inn & Spa at Cedar Falls! 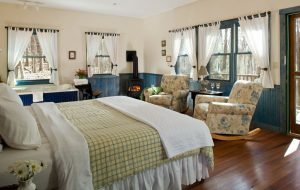 The park surrounds our property on three sides, and our inn is just a 5-minute drive from the Visitor Center. Located in the picturesque region of Southeastern Ohio, there is plenty of parking and information to tell you where to go once you are inside. Each trail is well-marked and there are many information booths to help you with directions to keep it easy. It is believed that the first inhabitants of the Hocking Hills State Park date back to more than 7,000 years ago! Evidence has been found that leads back to the ancient Adena culture, and it is known that multiple Native American tribes traveled through and lived here in the 1700s. The name “Hocking Hills” derives from the Native Americans’ name of the Hocking River: Hockhocking. After the Greenville Treaty of 1795, settlers began moving into the area. When a powder mill was built near Rock House and a grist mill built at Cedar Falls in 1835, the area started to develop. In 1924, the state began to purchase parts of what is now the Hocking Hills State Park to preserve it. Today, the park is preserved, well-kept, and open for all to enjoy. Measuring nearly 700 feet from end to end, Ash Cave is the largest recess cave in Ohio. This cave was named after the large amounts of ash that early settlers discovered here; it is believed that Native Americans used Ash Cave for their shelter and the ashes were from their campfires. The trail leading to this cave is paved, so it’s an easy hike for people of all ages. You can even bring a stroller! Cantwell Cliffs is one of the most challenging places to get to in the Hocking Hills State Park, but the views you see along the way are worth it! The cliffs stand approximately 150 feet high and overlook Buck Run. A waterfall from Buck Run flows over a portion of the cliffs to create a stunning sight. Hikers can either traverse the trails of the valley floor or the rim. If you choose the one-mile hike to the East Rim Trail, you will be rewarded by a scenic view of the cliff and rock shelter at Lookout Point. 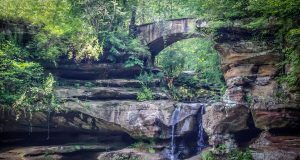 The Rockbridge State Nature Preserve is a 220-acre preserve that is home to some of the most diverse geological features in the state, including the largest natural bridge in Ohio. The Rockbridge Natural Bridge is believed to have originated millions of years ago when Ohio laid under a warm, inland sea. It is more than 100 feet long and 10 to 20 feet wide, and there is a beautiful waterfall that runs off the side. You’ll definitely want to bring your camera when you visit here. Rose Lake, also known as Fisherman’s Lake, is one of the best lakes in the area for fishing and birdwatching. 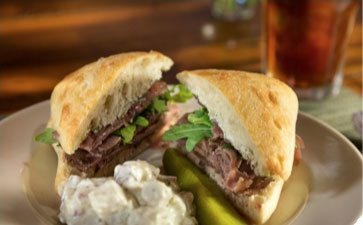 Each spring, it is stocked with trout and has become a favorite for our fisherman guests, young and old. The hike through the tall pines as you arrive at the lake is mesmerizing, and it is only a half-mile away from the inn! Whispering Cave is one of the Hocking Hills’ newest attractions and is a great 1.5-mile hike. Start at the Old Man’s Cave Visitor Center on the Hemlock Bridge Trail. A short spur trail takes you to the Whispering Cave, and from there, you can go on to Old Man’s Cave. Whispering Cave is almost 300 feet wide and has a gorgeous, 150-foot waterfall pouring from its upper rim. 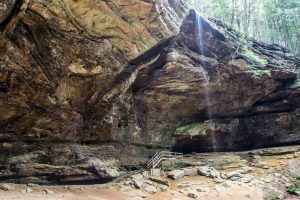 Old Man’s Cave is one of the most popular attractions in the Hocking Hills State Park. The cave gets its name from Richard Rowe, a hermit who lived under the rock shelter in the early 1800s. The cave itself is rather small, but the area around it is beautiful. Old Man’s Cave is a natural formation carved into a gorge, and a beautiful waterfall and pool have been created because of it. It is also home to the Devil’s Bathtub, a famous whirlpool in the Hocking Hills State Park. The upper falls fall into a basin to create the whirlpool before dropping again into the pool below. 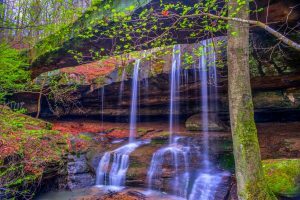 Cedar Falls is one of our favorite parts of the Hocking Hills State Park! This 50-foot waterfall is the largest waterfall by water volume in the region. Named after what early settlers thought were cedar trees, your hike to the falls will actually be surrounded by towering hemlocks. If you’re coming to the Hocking Hills, you’ll need to know all the things to see and do here. We can help! We’ve curated a list of local recommendations to make your planning easier than ever. Access our complimentary Vacation Guide for the best restaurants, outdoor areas, romantic date ideas, and more. Are you looking for the best place to stay in the Hocking Hills? 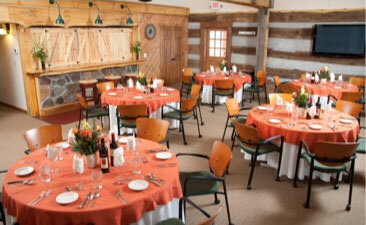 The Inn & Spa at Cedar Falls is just moments away from the Hocking Hills State Park. 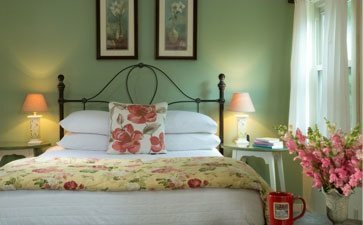 Our property has been designed to put guests in tune with nature, so you will leave feeling refreshed and rejuvenated. Browse our accommodations to start planning your stay; we have yurts, cabins, guest rooms, and cottages available. Plus, we have a spa, restaurant, and other incredible amenities onsite. We look forward to seeing you!